Of the more than 30 islands in the Kerama Archipelago, Tokashiki is the largest. 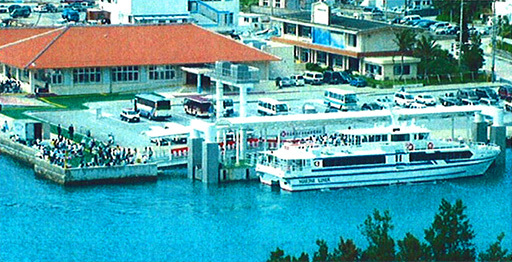 It’s situated in 60 minutes ferry ride from Naha. The island is a hilly island of about 15.29 square kilometers with sheer cliffs which descend down to the seas. In addition to clear blue seas and white sandy beaches, including the 800-meter long Aharen Beach and Tokashiku Beach, there is the state-run Okinawa Youth Center, camping grounds, a forest park, log houses, and other facilities. Visitors can enjoy various indoor and outdoor recreational activities. Additionally, there are many attractive diving spots around the island so that divers can always find a calm diving location even in moderately bad weather. The marathon that circles the island is popular among many people all over Japan. The Young Tourists' Village and the National Home for Youth located on this island are also highly recommendable as camping sites. 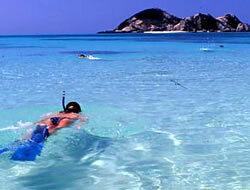 The sea around the island is the best fishing point, so single-rod fishing is practiced. Tokashiki Island is the other major populated island (aside from Zamami), but it is also very laid back. Tokashiki Island also seems to cater to hotel / dive package visitors and most of the hotels are away from the port. Some of the hotels are in Aharen village on the south west side of the island, and is one of the most stunningly beautiful harbors in the world. Aharen is one of the safest and most appropriate places to anchor in the Kerama islands, as the harbor is protected on three sides and has a 15- 20 ft even sandy bottom. Just don’t try to anchor there when the wind is from the south! If you anchor in Aharen, you will need to take a dinghy to shore. In Aharen village there are a few nice minshikus and izakayas, a general store, gift shop, and another delicious mango ice kiosk! There is also a great viewpoint at the top of the hill overlooking the beach- don’t forget your camera. As you walk to the viewpoint, you will have to walk through the village campsite. The campsite is a popular place to stay and there are signs that warn that camping on the beach is prohibited. If you want to stay someplace very nice and more like a resort, Tokashiku Resort is in another small bay tucked away just north of Aharen. Sailing to Tokashiki by private yacht, the two best options are to either anchor in Aharen or moor in the main port. If you moor in the main port, it is recommended that you tie up either side to or med-moor in the small basin to the north of the ferry terminal. Tokashiki Wetland is a habitat for Japan endemic species such us: Ryukyu black-breasted leaf turtle, Horst Gael, Anderson's Crocodile Newt, Sword-tail newt and Spotted lizard beetle (Japan-specific as a seed). Brief history: Many excavations of prehistorically age are discovered. The island is known to be the sacred places. In the middle of the 17 th century, a watch tower was built on the island in order to watch the ships passing through between Okinawa and China. During the Battle of Okinawa, the island was devastated by the air raid and artillery duel of the US military and after the US military landed the island, around the half of the residents took their lives. Akamayama Observation Tower at the northern end of Tokashiki Is. is a part of the facilities of the National Youth Home. It is at an altitude of 200 meters so you can enjoy whale watching in winter and beautiful a view all year around. On a fine day, you can see Okinawa island in the east, Aka island, Zamami island, and various isolated islands in the west. And around this tower, Hiitatiyaa (a fire tower) which was once used as a communication facility are reconstructed. Birou next to Aharen Beach is a very rare community which grows on sandy beach. Birou belongs to palm family and is about 10 meters tall. It has 1 ~ 2 meters long and 1.5 ~ 2 meter wide leaves with a half long slit. This community is used as a place of relaxation after enjoying swimming in Aharen Beach. Umi no Mieru Oka Observation Tower is a grained tower which stands on a hill the south of Tokashiki Port. 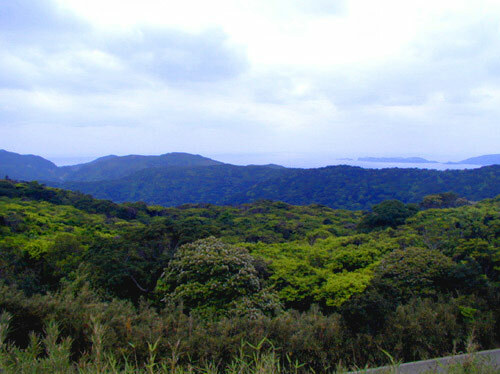 It is about 200 meters above sea level, which allows you to see Kerama Strait or Tokashiki Port. Tables and chairs are equipped in the first floor of this two story building.